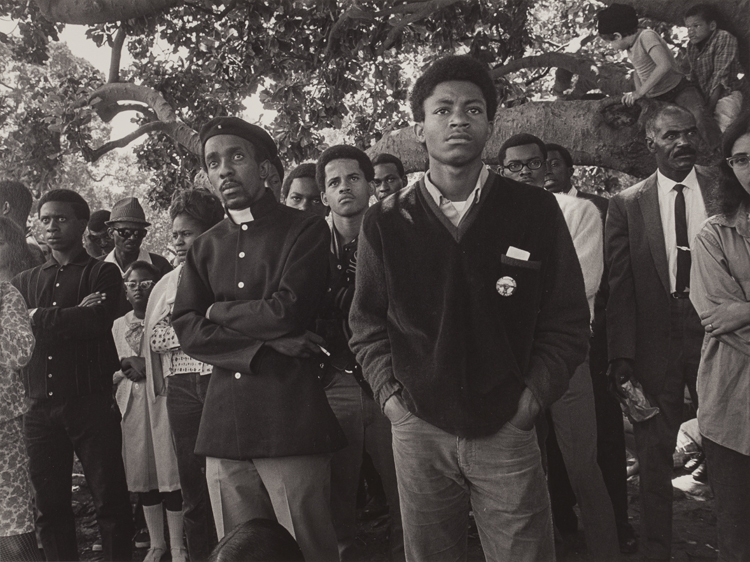 “Audience, Free Huey Rally, at De Fremery Park, Oakland, CA,” Pirkle Jones; 1968. Directives under COINTELPRO required FBI agents to “expose, disrupt, misdirect, neutralize or otherwise eliminate” the activities of movements and leaders associated with Civil Rights. Think of the times. It was the summer of 1968. Dr. Martin Luther King, Jr. had been assassinated on the balcony only months before. The government was on a killing spree, and they aimed their sites on the Black Panther Party. CA, during Huey Newton’s trial,” Pirkle Jones; 1968. Huey Newton and Bobby Seale, students at Merritt College in Oakland, founded the Black Panther Party for Self-Defense in 1966. Since its inception, the BPP’s core practice was armed citizen patrols to monitor the behavior of police officers and to challenge police brutality in Oakland, California. The BPP employed legal means to challenge the police, and the result was a counterrevolutionary operation sponsored by the government that resulted in deaths and arrests, eventually dismantling the BPP’s national reach by 1972. It was during the summer of 1968 that Ruth-Marion Baruch and Pirkle Jones, a husband and wife photography team, decided to photograph the BPP. The idea to photograph the Panthers was originally Baruch’s. She proposed her idea of an exhibition expressing “the feeling of the people” to Jack McGregor, then director of the de Young Museum in San Francisco. McGregor agreed, and the de Young Museum would host the first exhibition of the work in December of that year, to record crowds. The show would later travel across the country. The public was ripe and ready for positive and empowering images of the black power movement. 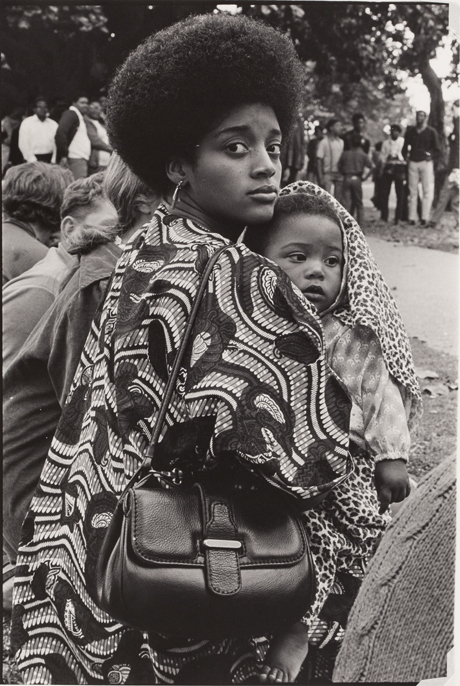 “Mother and child, De Fremery Park, Oakland, CA”, Ruth-Marion Baruch; 1968. With the approval of the de Young Museum, Baruch made arrangements to meet with Kathleen Cleaver, the Communications Secretary of the BPP, to discuss the project. She then met Eldridge Cleaver, the Minister of Information. Eldridge Cleaver invited Baruch to take pictures at a Free Huey rally at DeFremery Park in Oakland. Jones accompanied Baruch to the rally, and the two collaborated on the project from July to October that year. A collection of 22 photographs from this period will be on view in The Summer of ’68: Photographing the Black Panthers at the Norton Museum of Art, West Palm Beach through November 29, 2015. These seminal images take us back to a time when protest was a way of life, when it was taken for granted that sacrifice was necessary, and the people were willing to do their part. 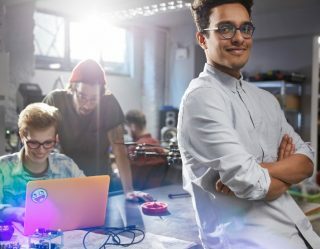 We return to a time when the people organized to create results. 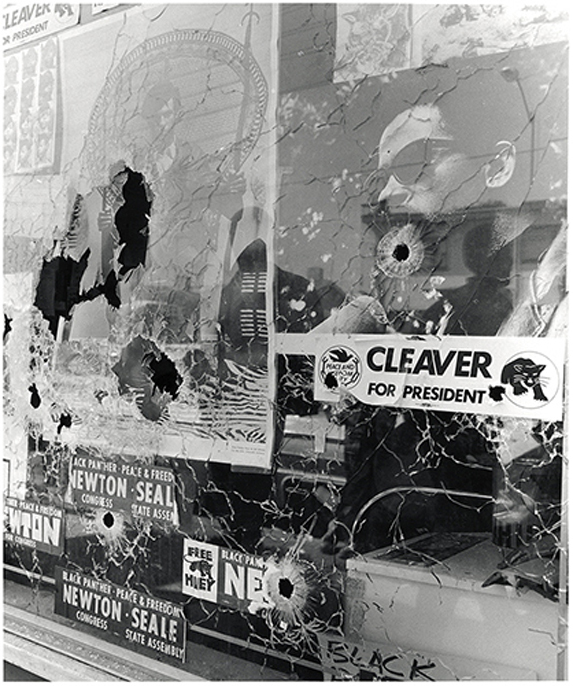 “Plate glass window of the Black Panther Party National Headquarters, the morning it was shattered by the bullets of two Oakland policemen, September 10, 1968”, Pirkle Jones; 1968. The BPP was bold and it was unafraid. 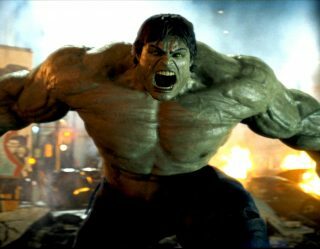 It did not back down from conflict. It was brought the street to the steps of the courthouse, and it challenged the United States government with its own laws. The photographs of Baruch and Jones remind us of this, of the humanity, the spirit, and the determination when all power to the people is not just a slogan—it is a way of life. We are reminded of the importance of this ideology every single day, every single time another black man and woman is killed by the police. We are reminded of the importance of fearlessness and self-sacrifice. 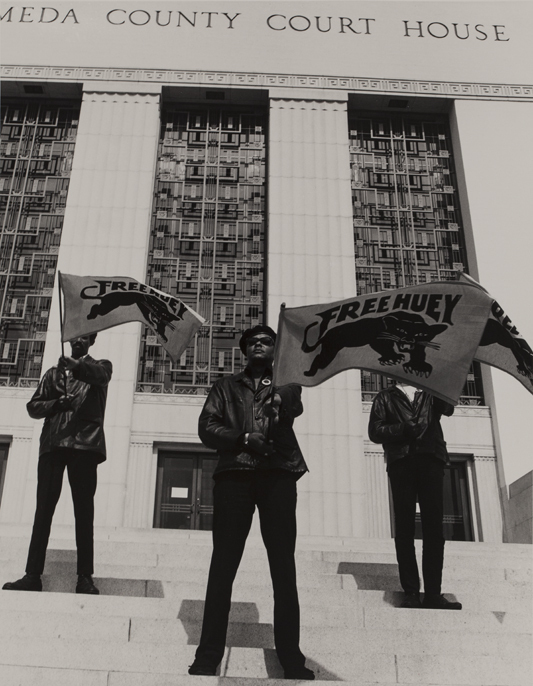 The Summer of ’68: Photographing the Black Panthers is on view at the Norton Museum of Art, West Palm Beach through November 29, 2015. All images courtesy of Norton Museum of Art, gift of the Pirkle Jones Foundation. Miss Rosen is a New York-based writer, curator, and brand strategist. There is nothing she adores so much as photography and books. A small part of her wishes she had a proper library, like in the game of Clue. Then she could blaze and write soliloquies to her in-and-out-of-print loves.